I had never walked into a courtroom before law school. The only people I knew who had been in courtrooms entered as defendants. For me, courtrooms had a very serious and almost terrifying power about them. And yet this year, I have walked into a courtroom at least once a week. To say the experience is surreal is a bit of an understatement. The first time I walked into court as a student in the Prosecution Clinic, I was mildly terrified. I was only observing that day, but I still felt some sort of fear of doing the wrong thing. After all, serious – and life changing – business happens in a courtroom. In my time at my clinic placement, I have been struck by the many different voices in a courtroom. There’s the judge, the prosecutor, the defendant, the defendant’s attorney, the clerk, victims, witnesses, family and friends of the victim or defendant, and then other defendants waiting for their cases to be called. Obviously they don’t speak all at once, but you hear each of the different voices throughout the morning. There’s a lot of listening too, especially if you’re not one of the attorneys in the room. And there’s a lot that is communicated without words. In the months since that first week at my clinic placement, I’ve found myself continuing to observe, but I observe much more than my supervisor now. I think about the defendant and what she is thinking as she approaches the bench. I wonder what the courtroom feels like to her, even if this isn’t her first time in court. I wonder if she feels heard or seen. I think about the defendants who sit watching the cases before theirs and I wonder similar things. For defendants and victims alike, I wonder if they feel like they are watching a machine that seems to produce fairly predictable outcomes. Underlying all of these thoughts is the question, “What do people think of my role and how do they perceive me?” To be clear, the question doesn’t stem from some vain desire to be this amazing clinical student (though I do want to do my job well). My concern is that for the majority of people who walk into that courtroom what happens inside those four walls can make or break their future. Yes, I practice in general district court right now, but I have come to appreciate the significance of misdemeanor offenses for both victims and defendants. The outcomes matter to everyone involved. And so I wonder, how do I fit into victims or defendants perspectives of the criminal justice system? I try to be human and treat everyone who walks in the doors the same way, but if I treat victims and defendants with equal courtesy, does that negate my treatment of the other? The legal system is by design an adversarial system, but sometimes I wonder if we have reached the mistaken assumption that adversarial precludes compassion. I’m starting my career as a prosecutor, and I have on countless occasions given some sort of disclaimer with that statement. I’ve talked about how I’ll be the “good” prosecutor who cares about people and justice and brings a broader perspective. I hate feeling like I have to justify my career choice, but I know that not all prosecutors share my mindset. I wonder if further down the road I’ll still have to attach a caveat my career choice. In the meantime, I’ll keep observing and listening to what’s said and unsaid in the courtroom. Amber Strickland is a 3L from Centreville, Virginia. After spending four years in the cornfields of Ohio for college, she moved to Bangalore, India where she worked with an anti-human trafficking organization. 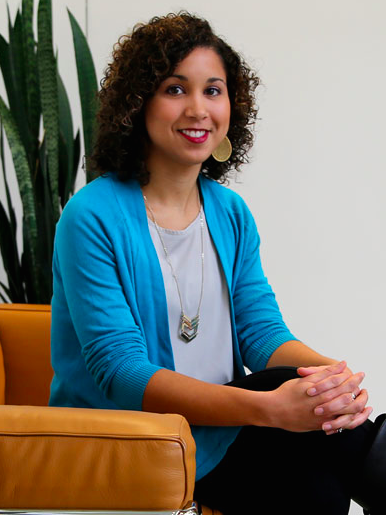 In law school, Amber has spent her summers working on civil rights and racial justice issues. After graduation, Amber will start her career as an Assistant District Attorney in Manhattan.